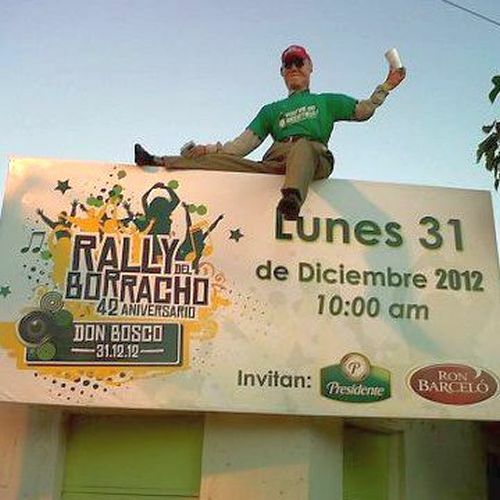 42nd Anniversary of the “Rally del Borracho”/ “Drunkard’s Rally” as always will be celebrated on December 31, 2012 until the rising of the sun on January 1, 2013. This party has been happening since 1971 in the Don Bosco sector of Santo Domingo. The party started as a get together with neighbors in this neighborhood to share drinks and bring in the new year. Now it is no longer just a neighbrhood event. It brings all people, young and old, neighbors and people living throughout the entire country together for a giant party. Sponsored by Ron Barceló and Cerveza Presidente. Events don bosco, drunkards rally, new years eve 2012, party, rally del borracho. permalink.